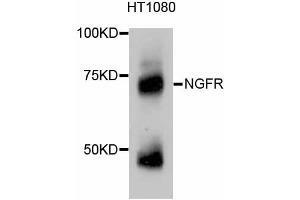 Western blot analysis of extracts of HT-1080 cells, using NGFR antibody (ABIN4904655). 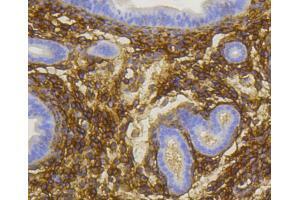 Secondary antibody: HRP Goat Anti-Rabbit IgG (H+L) at 1:10000 dilution. Lysates/proteins: 25ug per lane. Blocking buffer: 3% nonfat dry milk in TBST. 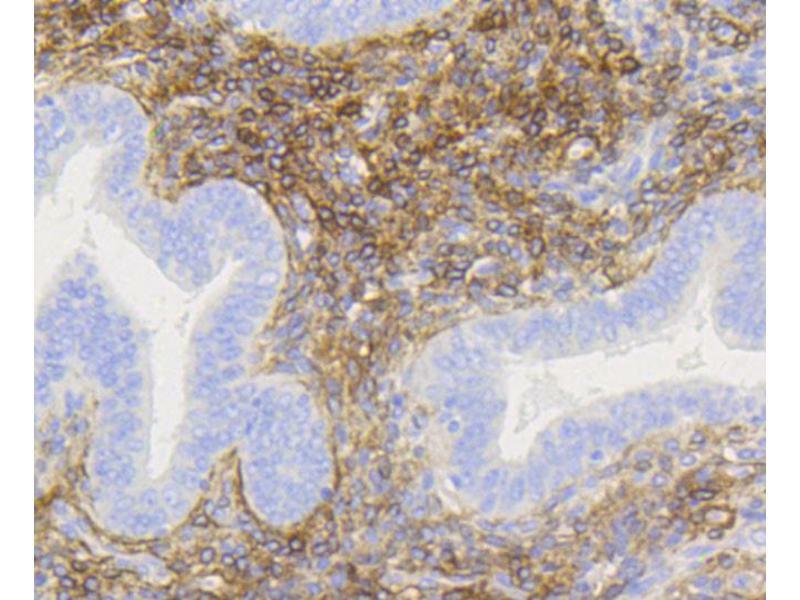 Immunohistochemistry of paraffin-embedded mouse uterus using NGFR antibody (ABIN4904655) at dilution of 1:100 (40x lens). 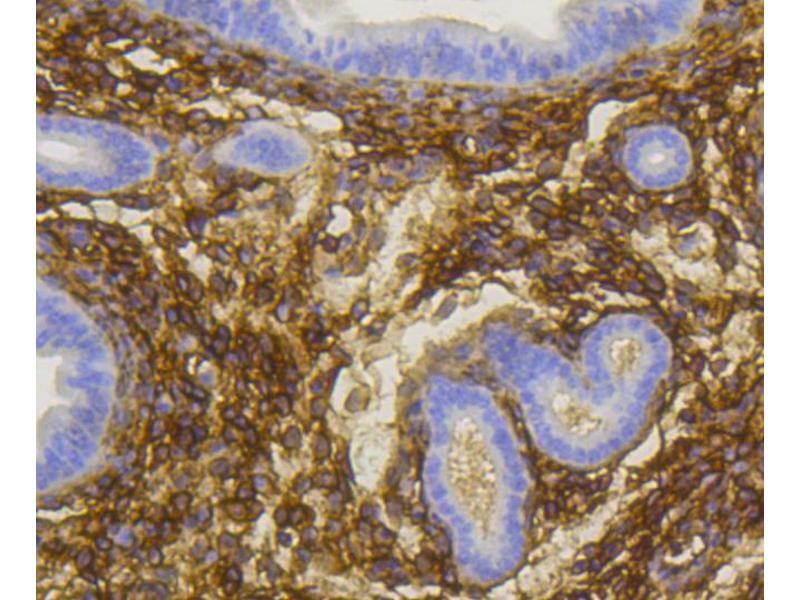 Immunohistochemistry of paraffin-embedded human uterus using NGFR antibody (ABIN4904655) at dilution of 1:100 (40x lens). 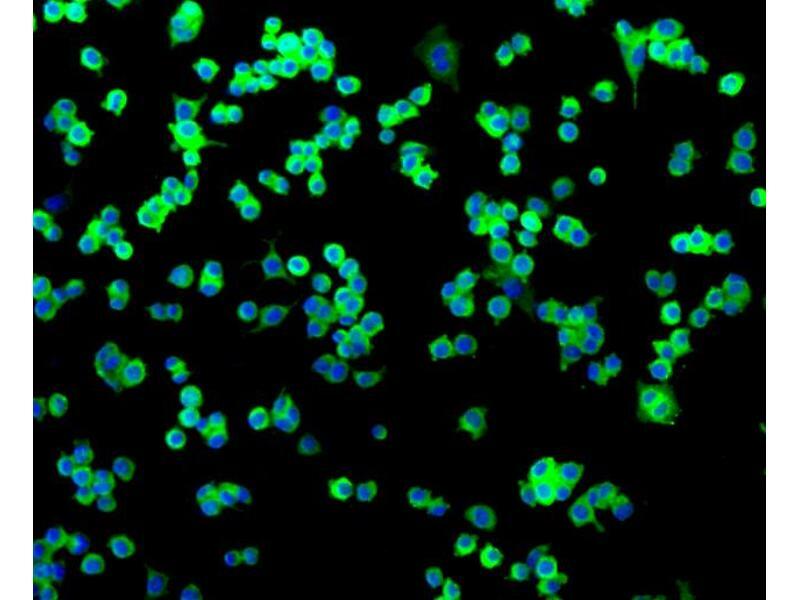 Immunofluorescence analysis of N2A cells using NGFR antibody (ABIN4904655). 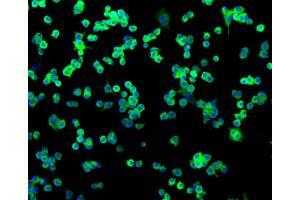 Immunofluorescence analysis of HeLa cells using NGFR antibody (ABIN4904655). 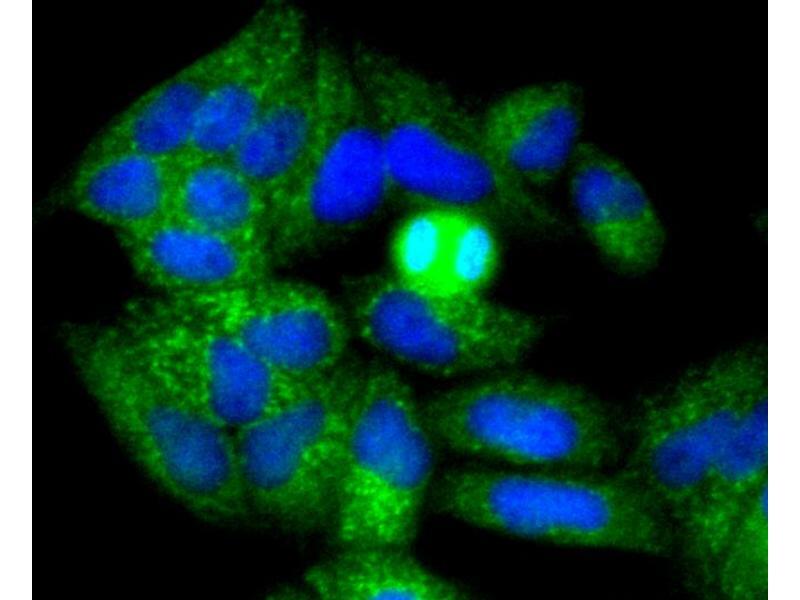 Characteristics Nerve growth factor receptor contains an extracellular domain containing four 40-amino acid repeats with 6 cysteine residues at conserved positions followed by a serine/threonine-rich region, a single transmembrane domain, and a 155-amino acid cytoplasmic domain. The cysteine-rich region contains the nerve growth factor binding domain. 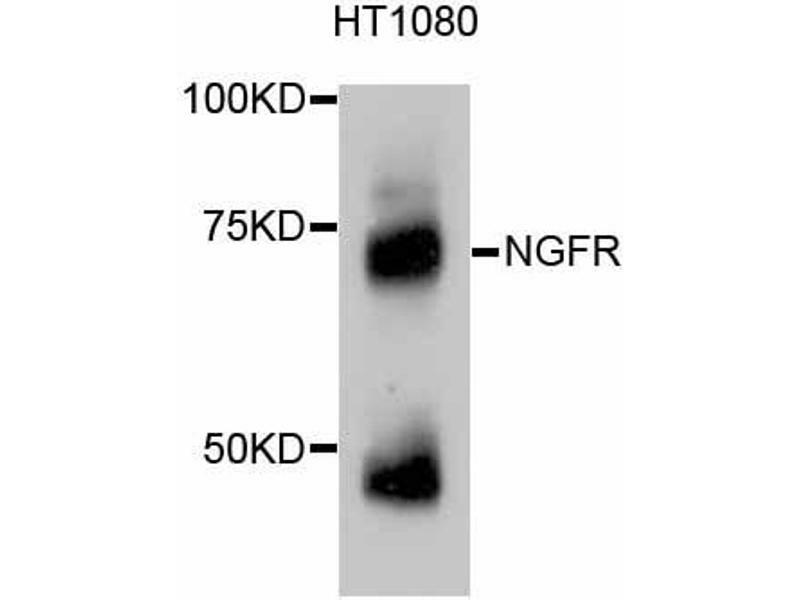 Immunogen Recombinant protein of human NGFR.